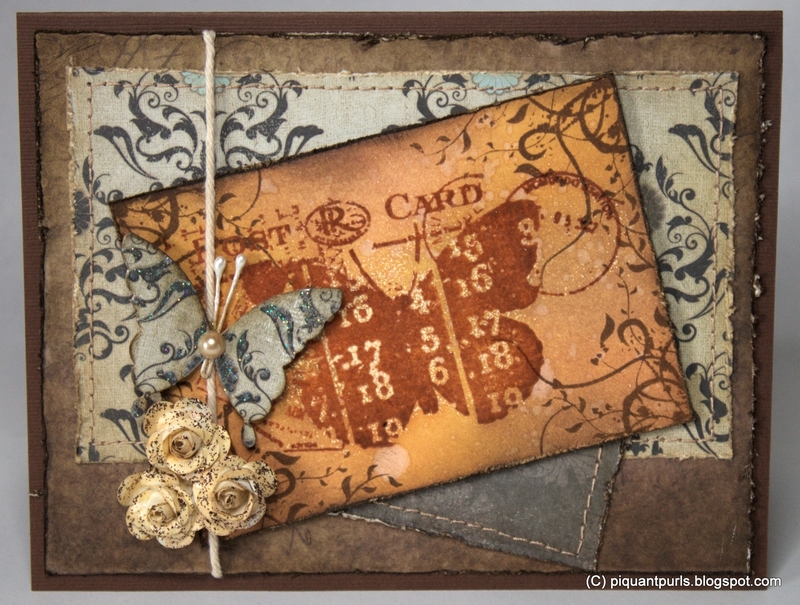 Layered papers are mostly from Tim Holtz French Industrial 12x12 stack, with the stamped image on Ranger manila cardstock. The flourish-patterned paper is from a dollar-store and it had some glittery embossing on it at the edges (you can see this on the die-cut butterfly). I machine sewed the back panels in place with some heavy quilting cotton thread. 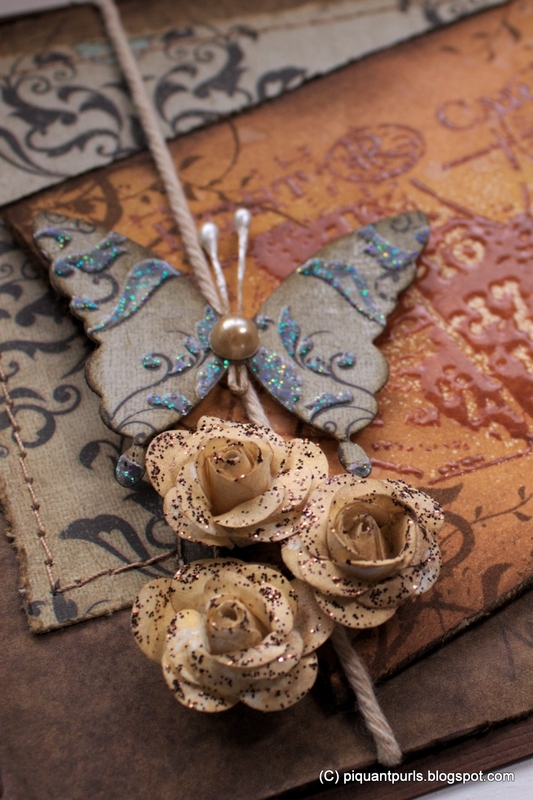 The butterfly image is from Unity Stamps Layers of Life june 2013 -kit, stamped with sepia Archival and embossed with clear embossing powder. I used multiple Distress Inks in brown shades to color the manila cardstock after embossing and sprinkled it with water. 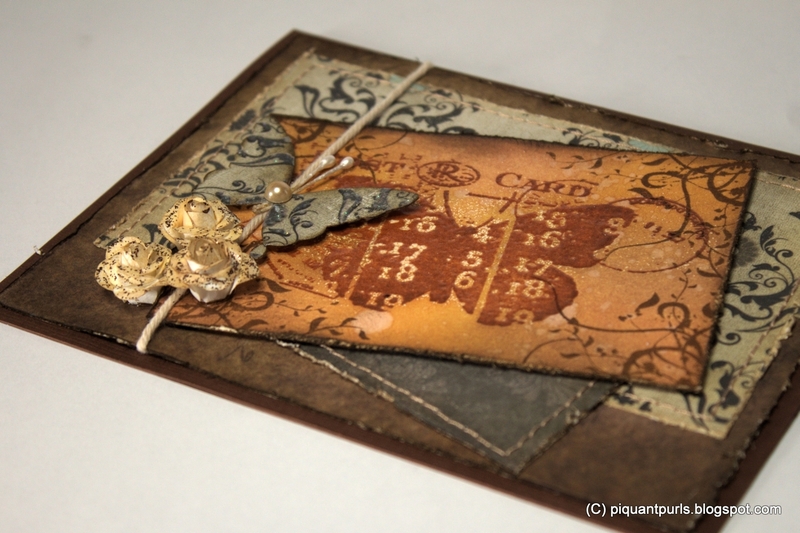 The flourishes are stamped with coffee Archival and the edges are distressed with Frayed Burlap. So very beautiful - love the stamping and embossing! Thank you so much for joining us over at the Vintage Challenge!